At the beginning of last month, the General Medical Council (GMC) issued a series of new guidelines that they say they hope will protect patients against making rash or illogical decisions regarding cosmetic surgery. The decision follows a similar statement from the Medical Board of Australia back in March, in which the health minister said there should be a mandatory ‘cooling off period’ prior to any procedure being undertaken. Now that the GMC in Britain has followed suit, what does this mean for the future of cosmetic surgery? The GMC indicate that the new guidelines are applicable to both surgical and non-surgical treatments, including cosmetic injectables like Botox and dermal fillers. It is thought that by insisting that patients have a two-week‘ cooling off’ period in which to think about the treatment reach a measured decision, they will be safeguarding more vulnerable patients who are perhaps rushing into the decision. It will also hopefully help to solve the problem of cosmetic ‘promotions’, where clinics or practitioners offer time-sensitive incentives and discounts in order to create more business. These promotions are deemed irresponsible and are said to add a level of urgency that is not appropriate for such a big decision. The British Association of Aesthetic Plastic Surgeons (BAAPS) does say, however, that they already had a similar system in place, and that a two-week cooling off period is mandatory for any BAAPS-approved surgeon. The President of BAAPS said that the association welcomed the GMC’s guidelines and felt that they were appropriate and necessary. "Cosmetic surgery has for too long been seen as a commodity but unfortunately once an operation is done - it can't be taken back to the shop," he said. Following the PIP scandal in 2013, the Medical Director for the NHS issued a similar warning, and more recently in January of this year, the Royal College of Surgeons published a report on how to improve standards across the board of cosmetic surgery. Although a cooling off period and an assessment of the psychological state of the patient is commonplace in surgery, it is hoped that the GMC guidelines will eradicate rushed, unsafe and irresponsible practice in cosmetic surgery once and for all. Be completely honest with patients about the treatment and the implications. Practitioners should not trivialise the risks involved with procedures. Not make unjustifiable claims about the results that can be achieved through cosmetic treatments. Not offer treatments up as prizes, or as part of offers like ‘Buy one get one free’, which may promote an unhealthy attitude towards procedures. Give patients plenty of time and information, in order for them to make a fully measured and balanced decision. They should also allow a ‘cooling off’ period to allow patients to think fully about the cosmetic treatment and whether it is the right decision for them. Seek their patient's consent themselves, rather than delegate it. Ask patients to tell them the ways in which a cosmetic procedure would affect them, both physically and psychologically. This would allow practitioners to assess any vulnerability and where it might not be appropriate for some prospective patients to go through with a procedure. Not target people under 18 through marketing or offers. In the case of treating young patients, practitioners should also seek additional advice from professionals who specialise in treating young people. "We are clear that doctors must not pressure patients to make rushed decisions they may end up regretting and they must give them enough information so they can make an informed choice." 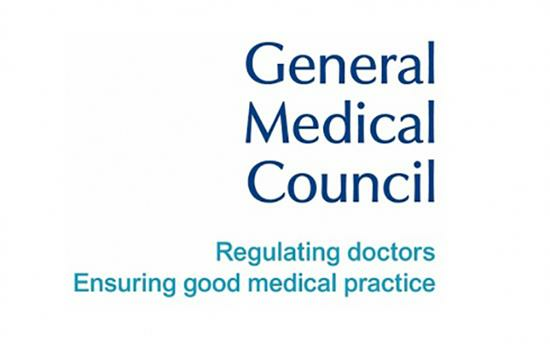 The final GMC guidance is expected to be published in early 2016.